Along with our restorative and general dentistry services, we also offer cosmetic services such as teeth whitening for our patients. If you’ve got a special event coming up (such as a wedding or corporate function), or simply wish to have a nice smile, then Rouse Hill Smiles has a solution for you. Before embarking on your teeth whitening journey, Dr Teena will perform a full oral examination to ensure your teeth are able to receive whitening treatment. We utilise safe and trusted whitening brands such as Opalescence and Zoom, both of which are used for in-chair treatments to achieve a good smile. Over 4 – 5 sessions, the whitening solution is painted on the patient’s teeth to gradually build up to a natural-looking smile. Dr Teena also provides patients with a soothing gel to counteract any post-treatment sensitivity. We understand some patients may prefer to whiten their teeth in the comfort of their own home, so also provide take-home teeth whitening kits to help them achieve results which are just as long-lasting and effective. These kits involve using a fitted custom tray, which is then filled with whitening gel and worn regularly over a period of around two weeks. 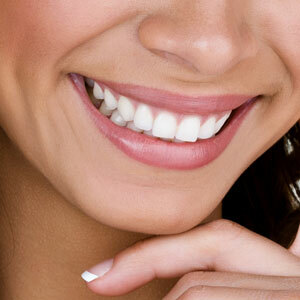 Schedule a teeth whitening consultation with Dr Teena today!